At BOLT Lock Australia we are committed to providing our customers with the best products and service. This policy details how to return a product to BOLT Lock Australia. Please note that all products, with the exception of ex-demo, ex-rental, soiled, clearance, second hand, imperfect or damaged, are sold with a manufacturer’s warranty, unless otherwise noted. All Products have a Limited Lifetime Warranty unless otherwise stated. If you receive a faulty product or the product develops a fault, you may be able to return it as dead on arrival or damaged in transit if it is within 14 days of purchase. If not, it may be covered by the manufacturer's warranty or our BOLT Lock Australia Extended Warranty (if you have purchased one). Please note that all products, with the exception of ex-demo, ex-rental, clearance, second hand, imperfect or damaged products are sold with a manufacturer's warranty, unless otherwise noted. 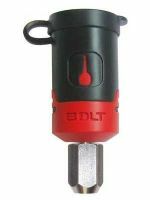 If a product purchased from BOLT Lock Australia develops a fault after 14 days from original purchase and is within the manufacturer’s warranty period, we recommend that that in the first instance, you contact the manufacturer or their authorised service centre or agent for warranty service. Warranty periods and service levels vary by manufacturer and product. We will not accept any opened product for return unless the product is returnable under this policy, or under a BOLT Lock Australia Extended Warranty, a manufacturer’s warranty or other contract or law.